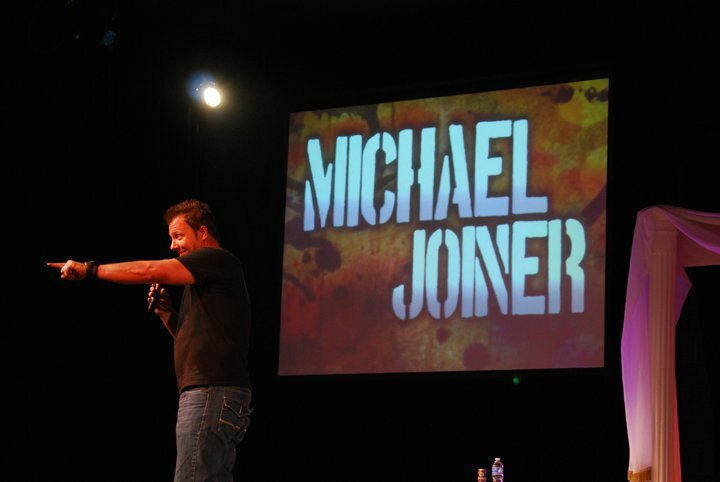 A true "comic’s comic,” Michael, often referred to as “God's Smart Aleck,” has been performing his own sarcastic style of observational stand-up comedy for over 25 years, becoming one of the best known and respected clean comics working today. His crowd interaction and unequaled ability to improvise with audience members has gained him respect among fans and Comedians alike. Audiences around the country may recognize Michael from one of his many starring roles in films like Sony Pictures theatrical sleeper hit, "The Grace Card" or the more recent Comedy hit "Heaven Bound", as well as his scene-stealing roles in movies such as “My Name is Paul” “Rumors of wars,” “Love Covers All” and most recently “Kudzu Zombies.” He’s written for dozens of stand up comedians, as well as “The Tonight Show” and “Politically Incorrect.” Michael's many TV appearances have included “Bananas" & Chonda Pierce's "Stand up for Family's" on the Dove Channel. He was actor Bruce Willis' full time photo-double for the hit TV show "Moonlighting" and he appeared on many TV shows including "21 Jump St." and "30 Something. *1ST PLACE WINNER OF THE HOLLYWOOD IMPROV'S "FUNNIEST COMIC IN LA"